Roof valleys are the line where two roof planes intersect. 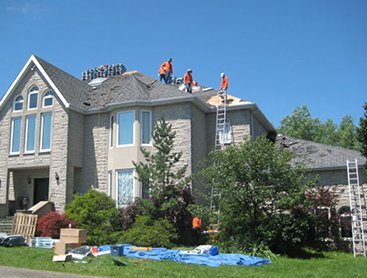 Metal flashing, rolled roofing, and lacing shingles together are common ways to create a roof valley. 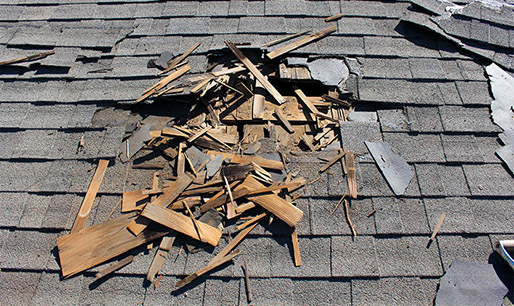 Valleys can be a big problem if you do not trim the shingles correctly. When you trim a shingle for a valley you end up with a chisel point on the end of the shingle. 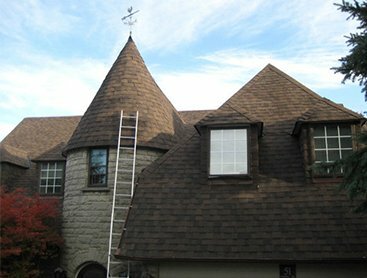 If a second cut is not made to make this point like an arrow point, then water can travel along the top of the shingle and find its way inside your house. Many roofs stop at a vertical wall. 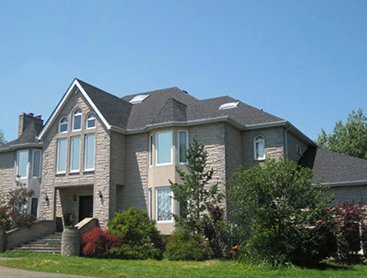 A metal flashing must be used in these instances to direct water away from the stopping point of the shingles. This flashing may be behind wood siding or in front of a brick wall. 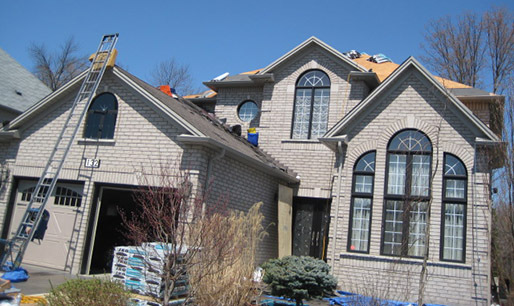 The flashing should extend over the shingles at least three inches. If the wall is brick, the flashing must bend and extend one inch into a mortar joint. 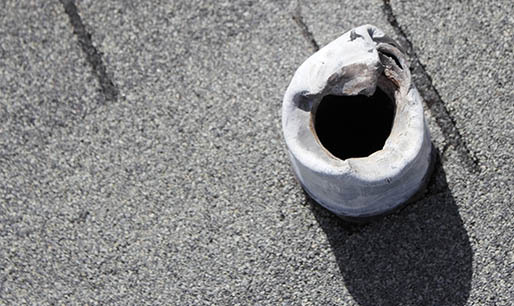 Tar, caulk or roofing cement should never be used in conjunction with these materials. If you see them, it is a sign that someone tried to patch a leak! Some roof leaks happen at step flashings. You find these flashings where a roof climbs alongside a vertical wall. As each row of shingles is laid, a step flashing is installed over the shingle next to the wall. Part of the flashing turns up on the wall and the other portion gets covered by the next row of shingles. Look for rust or holes in these flashings, this is where the majority of issues occur. 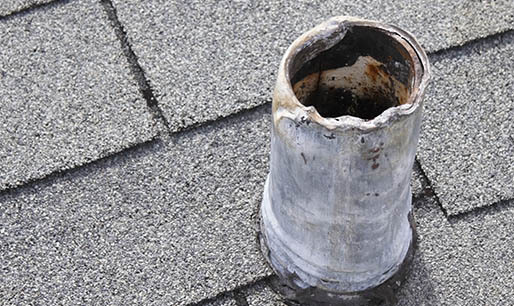 Chimneys are the source of many water related issues and leaks. 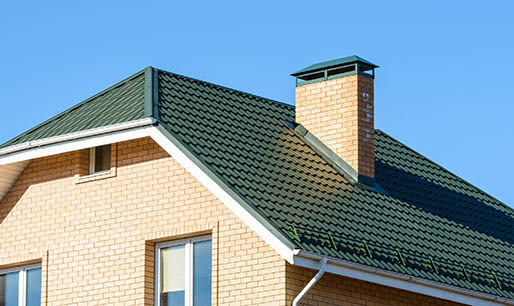 Chimneys contain four different types of flashing. All must be installed correctly to prevent a leak. Even a hairline crack above the flashing can create a path for water to run behind the flashing. Look for soldered corners of flashing that might have broken or have holes – they are a common source of leaks. Do not uses caulk to repair the flashing! Newer vent flashings are a concern. Many of these incorporate the rubber seal with an aluminum flashing. The rubber can fail in as little as 10 to 15 years. Look for cracked rubber around the plumbing pipe. The flashing should dive up and under the shingles that extend up the roof from the middle of the plumbing vent. The bottom half of the flashing should be exposed and actually cover the shingles. This type of flashing is almost identical to plumbing vent flashings. However, they often have a metal storm collar. These simply fit tightly around the vertical pipe that exits the roof. If they become loose, the storm collars can cause leaks. 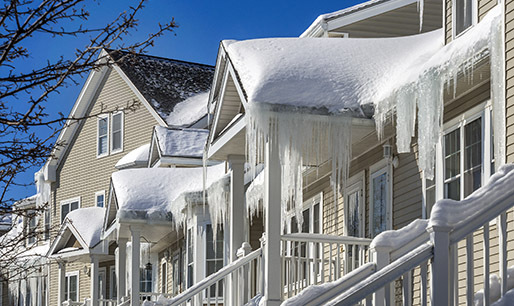 Ice dam leaks plague people in the Snow Belt. These leaks can happen even if everything on your roof is just fine. Ice dams block the natural flow of water down a roof through the eaves. 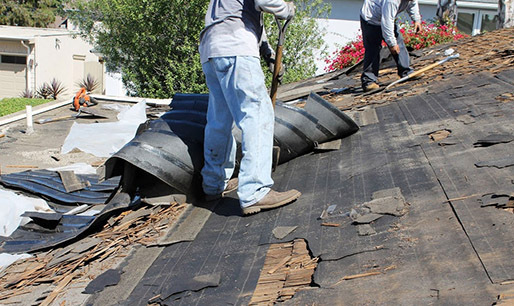 The water begins to back up under flashings, shingles, tar paper, and other areas. Once water begins to flow into the house, it can drip for days and cause significant water damage. The only means of prevention is to install membranes under the roofing. The membranes won’t stop the ice but will stop water leaks if installed properly. Wind driven rain can be a major problem. 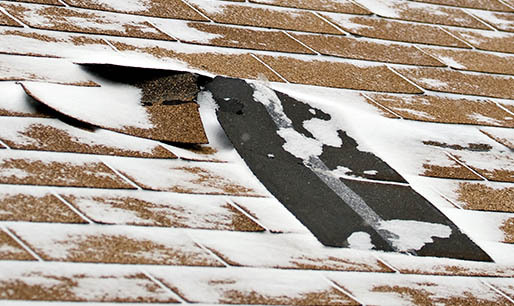 In fact, even if you have a roof and wind can still drive water up and leak into roof materials. Tar paper and ice dam membranes can prevent this from occurring. If you have metal valleys, you may want to hem the edges. This means that the hidden edges of the valley actual have a 180 degree bend. This creates a channel that directs wind-blown rain back to the bottom of the valley. 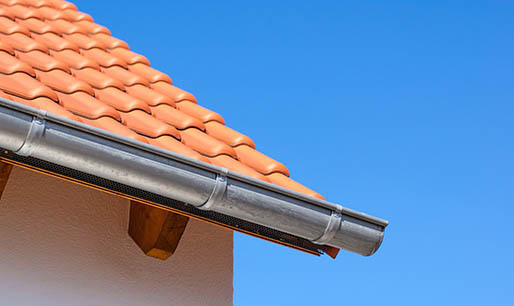 Roofing cement under shingles on the edges of roofs that face the wind is also a good idea. Don’t underestimate the power of wind-driven rain.